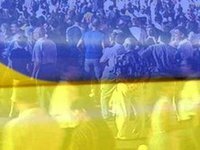 Consumer prices grew by 12.4% in Ukraine in 2016 as forecasted by the National Bank and government, which is significantly lower than in the past years - 43.3% in 2015 and 24.9% in 2014, the State Statistics Service of Ukraine reported on Friday. According to the service, in December of 2016, inflation stood at 0.9% against 1.8% in November and 2.8% in October. The State Statistics Service has said that the average annual inflation in 2016 (January-December of 2016 to January-December of 2015) was 13.9%. The Ukrainian government and the National Bank predict a further slowdown of the consumer prices growth to 8%-8.1% in 2017.